Before the 4’’ iPhone 5 came out, I wrote about how this measurement was uncharted territory for Apple. The Cupertino-based brand had previously stuck to the tried and tested 3.5’’ for the iPhone. Well, Apple and I have changed our tune. I now own the 4.7’’ Nexus 4, and Apple has announced the 4.7’’ iPhone 6 and the even bigger 5.5’’ iPhone 6 Plus. Yes, my Nexus 4 can be a bit awkward to use one-handed, and it certainly doesn’t pass the one-handed ‘thumb test’. That’s where you can reach the opposite corner of the screen with your thumb. And my iPhone-owning friends generally mock how big my phone is compared to their ‘perfectly formed’ handset. We’re not going to be so different very soon. Apple has said it has made some changes to ensure that the iPhone 6’s size won’t limit its usability, such as sliding the display half-way down the screen with a double-tap of the home button. Everything should be within reach. 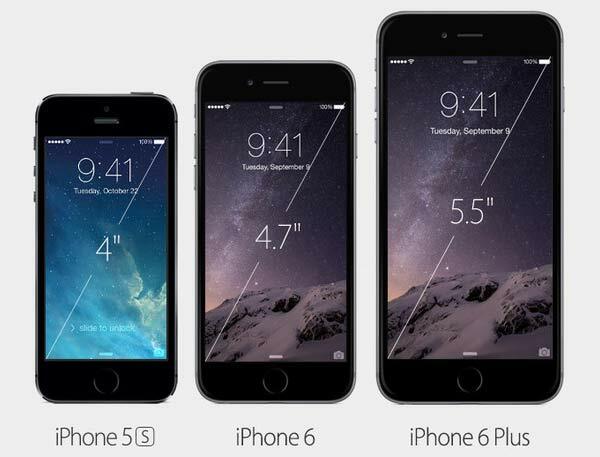 Still, I do think that the iPhone 6 Plus is ridiculously big. That’s not to say it won’t be a popular buy, but I’ll happily mock owners without a care in the world. Oh how the tables have turned. There does appear to be a silver lining to a bigger iPhone. Battery life. Here’s where Apple earns some brownie points. Apple claims that the iPhone 6 will give you 50 hours of audio listening, up from 40 hours on the iPhone 5S. The iPhone 6 Plus will apparently reach an impressive 80 hours. You’ll get 11 hours to browse over wi-fi, with 12 hours on the Plus (up from 10 hours). And talking over 3G is up from 10 hours to 14 hours, with 24 hours on the Plus. Those numbers should hopefully stop the twice daily charging that many of us suffer from. Of course, you’ll have to wait until we get both of the new iPhones into the Which? test lab before you know the truth about their battery performance. So what do you think about the size of the latest iPhone? On our Facebook page Daryl told his friend Dan: ‘6 is too big. 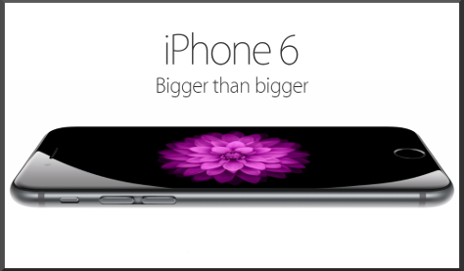 5s big enough.’ But Dan replied, ‘bigger is better’. What do you think? How big is too big? Seems like a “we do mini-mid too” gap product. Unfortunately Apple will keep its prices at a premium to further promote it’s “elete” market status. And IOS is pretty good. But I can’t help feel unexcited by gap products as they lack the innovation previously enjoyed by Apple and this will put pressure on their pricing model. I’m not sure they needed to follow the herd. They are indeed getting too big for comfort. A 4″ iphone for one handed usability, and a 6″ (once it’s no longer a one handed device it may as well be a lot larger) for the plus iPhone plus, would probably have been better choices. Some long standing iPhone users are going to hang on to their iPone 5, or desert. I replaced my iPhone 4 with a Blackberry Q10. I don’t want something like a micro miniPad which can call too. Instead I wanted a friendlier keyboard because those virtual ones make me mistype too often. For tasks beyond calling, text, quick emails I have a computer. I don’t understand the big fuss about iPhones and I am often disappointed by ratings given by Which regard iPhones, for example the Galaxy S5 was rated low on usability because of it’s size yet the iPhone 6 does not fall to the same bad ratings, reviewers always go on about the quality of how the phone has been made. I for one will always use a cover, so therefore I am more interested in being able to remove the battery and expandable memory. Things that will not happen with iPhone. I also have noted that I see much more iPhones with cracked screens than I do a Samsung phone, in fact just the other day I saw someone with heavily cracked screen for the new iPhone 6. I honestly believe the size is just a reaction to how their market share was declining to people realising that a bigger phone is not too big and having much more pros than cons. The OS has just copied many of the things that has been available to Android for years. It perplexes me how there is this cult following for iPhones when there are so many better phones out there and better value for money.